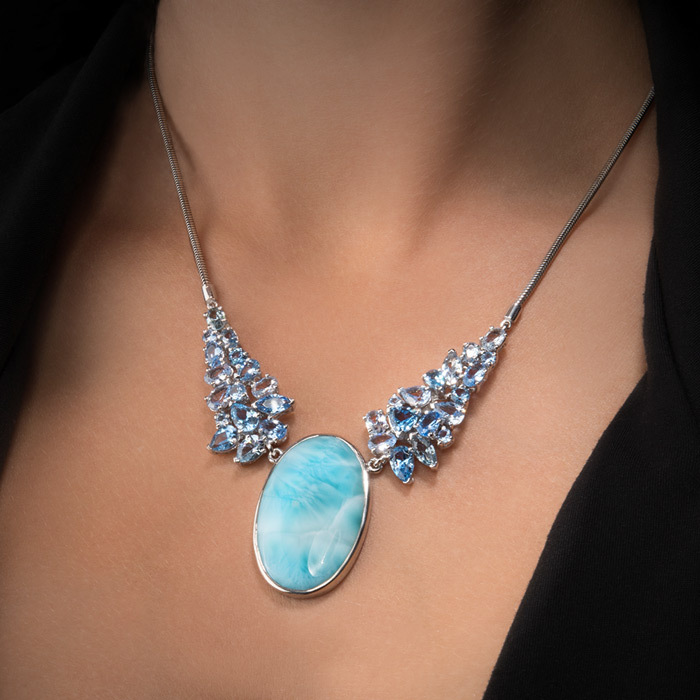 Our extraordinary Grace necklace floats an exquisite elliptical larimar gemstone between wings of shimmering blue topaz and blue spinel. Upper-crust, captivating, and ethereal, you’ll have to start waving off the compliments when you wear this beguiling beauty. Product Details: 22x34mm larimar gemstone, sterling silver, blue topaz, and blue spinel. This necklace has an adjustable silver chain from 16 1/4" to 18" that accentuates it’s otherworldly allure. It’s a showstopper!